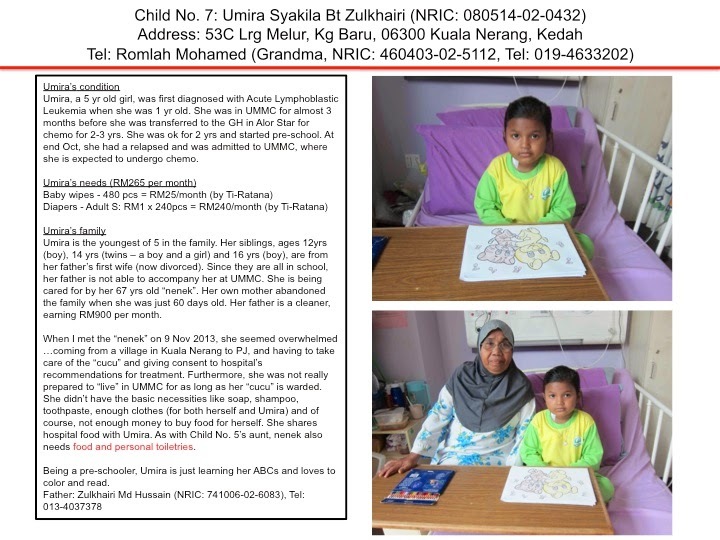 Remember Umira, one of our MOW Happy Child candidate? Umira was first diagnosed with Acute Lymphoblastic Leukemia when she was 1 yr old. After undergoing chemo in UMMC, the cancer went into remission for 2 yrs. In Oct last year, she had a relapsed and was admitted to UMMC again for treatment. After slightly more than 6 months in the hospital, she succumbed to her illness and passed away on Tues, 10th June 2014. Our sincere condolences to her family, especially her "Atuk" (her grandma) who cared for her throughout her stay in the hospital. She is now free from sufferings and may she rest in peace. 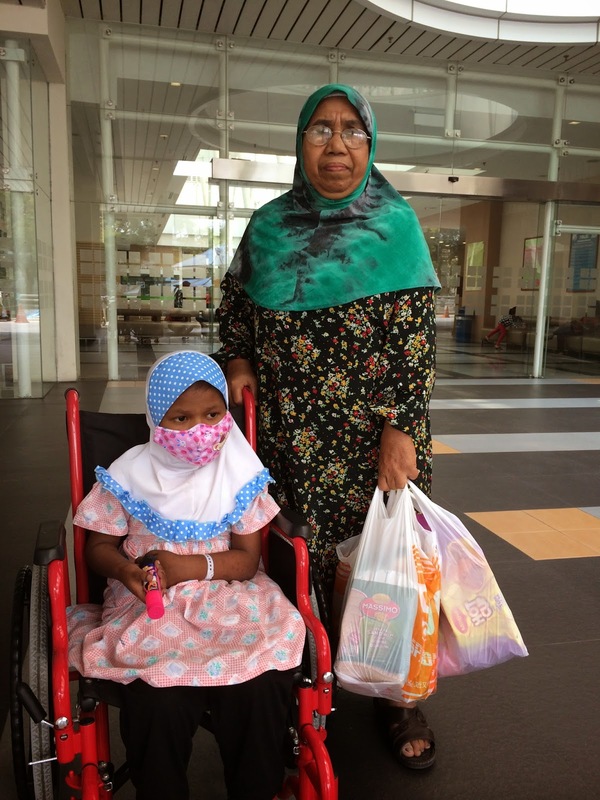 We would like to thank our donors who supported our cause in helping Umira and her Atuk.